GRIS is without a doubt the most beautiful game I’ve played in 2018. Forget the jaw-dropping vistas of God of War, the sweeping ruggedness of Red Dead Redemption 2 or the sparkling waters of Sea of Thieves, GRIS has them all beat in my book. Forgoing the ongoing industry trend of creating photorealistic environments, GRIS is a simple, gorgeous and detailed piece of interactive art, that is an absolute wonder to explore. 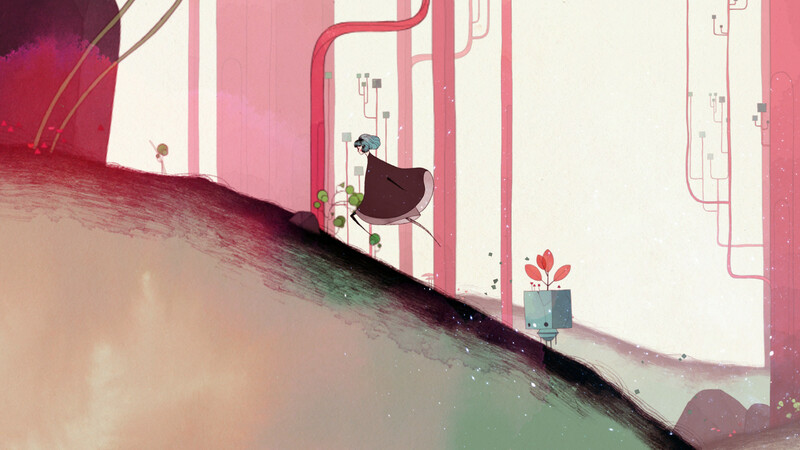 Playing as a young woman lost on an abstract landscape, players must wander across this 2D platformer seeking to restore colour and the character’s voice to the world. The story is minimal and understated. You never learn much about the world or the characters. In fact, the game is almost certainly an allegorical introspective and personal journey that should not be taken to literally. You are a young woman trying to recapture her voice in a beautiful, broken world. The rest is for the player to decide, using the stunning environments and repeated symbols and images to find their own meaning. At several stages of the game, you will add a new colour to the once barren world. It’s a beautiful way of expressing the emotion of the level and adding layers to the areas you’ve explored already. At first, the world might seem hostile with its deep reds, but soon enough that will give way to gentle greens and blues. Even then the desert lands you first explore are covered with beautifully delicate metalwork that creates a gentle warmth and friendliness that overrides the small dangers. In all honesty, the world doesn’t really have any dangers in it. There isn’t much that can harm you nor is there any real consequence for failure. If you miss a jump, you’ll just land safely below to start again. GRIS is not designed to invoke challenge or stress. But that doesn’t mean that everything is friendly. A dark entity chases the player, taking many forms and providing honestly unnerving moments to the game. It is the closest thing you could call an antagonist but its appearances are spaced out and well managed. Unfortunately, in one of the few hiccups for GRIS, some of these encounters lack a little bit of refinement. One early encounter requires you to ring a certain bell, but the directions on how to do this are unclear and little muddled. Normally, the soft puzzles the game provides are simple enough to solve and require you to at the amazing detail of the game. Stark colours stand out and provide a useful target or shifting grounds let you know you can interact with them. You gain new abilities as you progress and towards the end, you will have to use them in brain-bending ways to solve the puzzles, but they are never difficult to do once you understand the mechanics. The most frustrating part of GRISs is the exploration. On top of the collections you can find across the map, seeing all the sights is its own reward. But the game does have a tendency to lock you out of other routes if you stumble across the correct one quite quickly. No loading screens mean you can enjoy the art design of the game seamlessly but does mean you might skip past alternate routes before you realise what you’ve done. It also means that left behind collectibles will be lost for the entire game and that you can sometimes feel hurried along, which is annoying because GRIS is so beautiful you would want to take your time and enjoy it. And behind the gorgeous artwork, there is also an absolutely amazing soundtrack. The music pars so well with the game, and the art style to create this completely immersive environment, especially when played with headphones. Picking up at emotional touchstones, the music fades to this lovely background tune that changes as you progress and move without ever intruding on your thoughts. Like those featured in Journey, Abzu and other games, this is a soundtrack that will undoubtedly be enjoyed outside of the game as well. GRIS is not a long game. I completed it, pausing occasionally to take in the sights, in around two hours. But it felt longer, somehow. It felt like I had spent a wonderful afternoon with this game, and I think extending any more would have ruined the experience. Each section of the game is designed so well, with so much care and detail and imagination, there is no way it could have been stretched out any longer without sacrificing some of that detail. 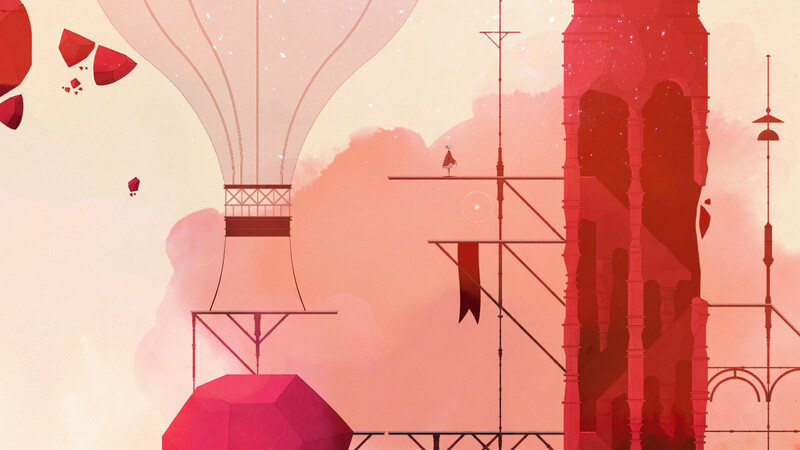 Not every game needs to be challenging or hard, and Gris proves that will spectacular grace. It feels like interactive art, like you are traversing a painting the size of a monument and taking it in one small frame at a time. Complimented by a beautiful, almost heartbreaking soundtrack (available for separate purchase on Amazon), GRIS is a fantastic, thoughtful experience, even if it doesn’t last very long.